The Darlington & District 5's & 3's Domino League - THE COMPETITIONS. The 2018-19 Season Pairs & Singles Knock-out. 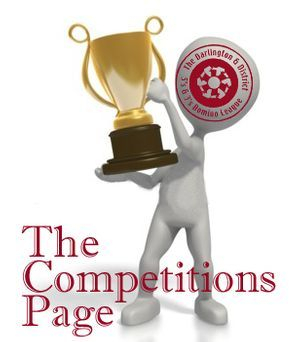 For all your Competitions, this is the page to come. It's all here, -a-Side, Captain's, Singles and Pairs.